I enjoyed two Bordeaux wines on Sunday, starting off with 2010 Clos Floridène, a white Graves from Denis Dubourdieu, Dean of the Institut des Science de la Vigne et du Vin, well-known consultant, owner of several estates in Bordeaux (including the great growth Doisy-Daënes in Barsac), and acknowledged authority on the making of white wines. So, it was a fairly safe bet that this would not be a dud! 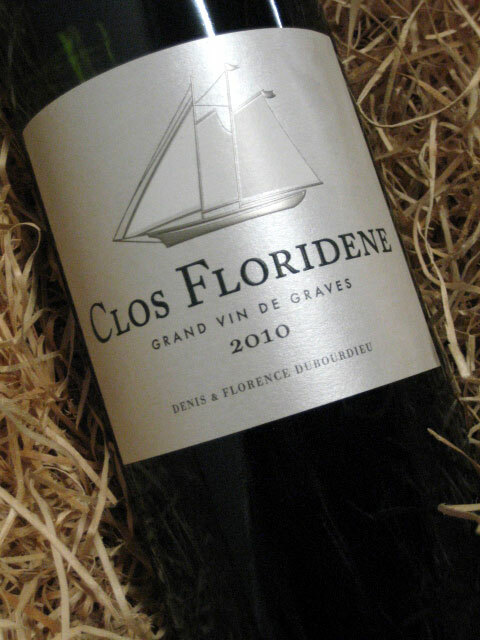 In fact, I’ve known Clos Floridène for years, and it is widely considered a model of what white Bordeaux should be. Clos Floridène has 17 hectares of red vines and 23 of white. It is located in Pujols, a stone’s throw from the Sauternes appellation. The white wine is made from 55% Sauvignon Blanc, 44% Sémillion and 1% Muscadelle. The color of the 2010 was pale gold with green tinges and the nose was fresh, tart, lemony and showing subtle overtones of honey. The wine was really all that it should be on the palate, with citrus overtones and a dry mineral finish – more akin to a Pessac-Léognan than a Graves blanc, but fortunately with the latter’s price tag, making this very good value for money. This is by no means a great wine, but it is a poster child for disbelievers of what Bordeaux can do with dry white wines! It is fine to drink now, but will hold for years. One odd thing. I’m used to encountering citrus overtones in wine, but this is the first time I can remember smelling lime nuances! 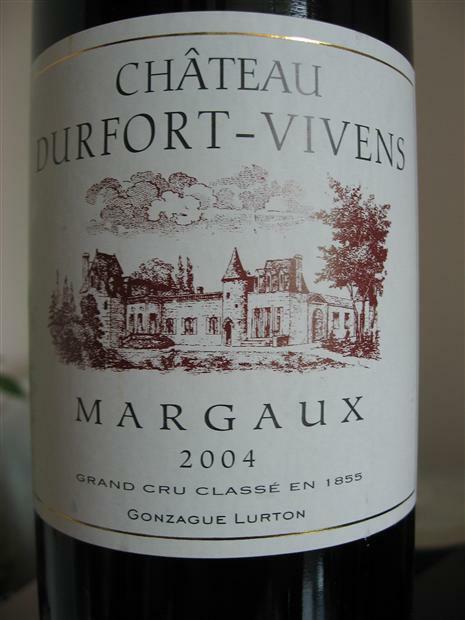 The red wine of the day was 2004 Durfort Vivens. I had great hopes here because when I tasted it en primeur alongside other great growths in the Margaux appelation, it seemed one of the top wines. A few other tasters agreed with me. Unfortunately, this promise was not borne out ten years later. The wine’s color was encouraging: a very dark core with only medium bricking, looking younger than its years. The nose was satisfactory as well, with hints of plum, although not very forthcoming. However, the wine fell down on the palate which showed far too much of an acid edge. On the whole, this 2004 Durfort came off as thin and mean, with ungracious tannin on the finish. A big disappointment. I have 2 other bottles, and I’m hoping that this one is not typical. Posted in Uncategorized and tagged Bordeaux, Graves, Margaux on March 11, 2015 by AlexR.